Sometimes a Hasmonee soldier chooses to follow the path of learning divineinformation, instead of intensive field duty he chooses to become an Abir meaning knight or brave one. The defense forces have a special program to facilitate their needs. 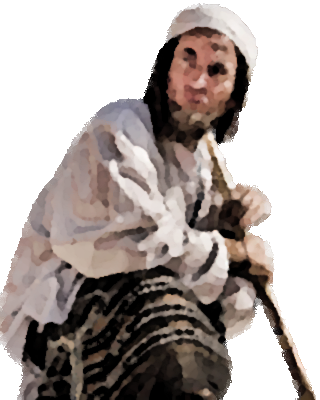 They will become much more learned and later can upgrade to an Abir gadol (grand brave), which practices the Abir-Qesheth warrior tradition professionally. Special Notes: This unit can detoxicate adjacent allied units, including itself, at the beginning of a turn. It inspires the ivrim units around him, making them protect the civilian weak, old, women, children of the people and the eco-environment of the land with a saintly zeal. It is weaker than leadership.